It’s a scenario every homeowner dreads. You’re asleep after a long day at work, dreaming of your upcoming vacation, when all of a sudden you’re woken up by the unmistakable noise of a burst pipe or a dripping faucet. You run to the bathroom, only to see that the water has already started to gather on your floor. You have no idea how to handle this situation on your own, and it’s 4:00 in the morning. You need help now — and emergency, 24-hour plumbing companies can give it to you. But how do you find them well before disaster strikes, so you can be prepared to handle any plumbing worst case scenario? 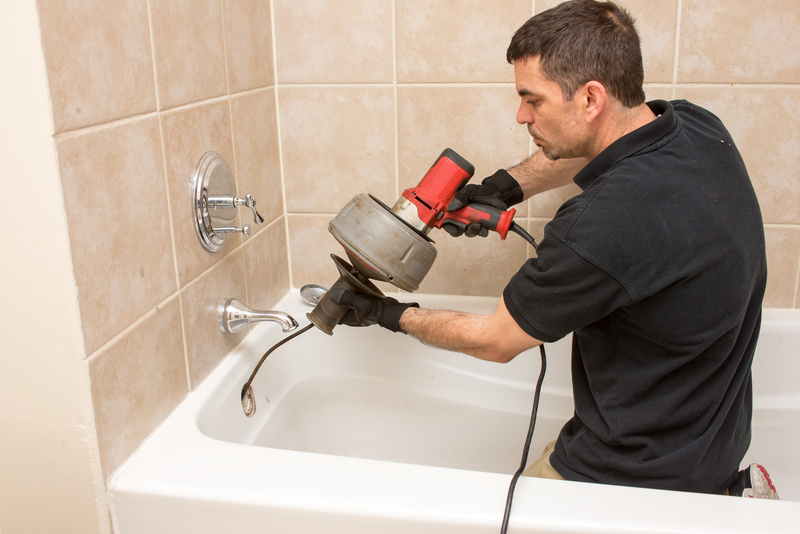 The best way to start looking for qualified emergency plumbing services? By asking your family, friends, and coworkers if they have any recommendations for you! Of course, just because your best friend or next-door neighbor has given you the name of a few reputable plumbing companies, doesn’t mean that your work is complete. You need to start your research by visiting the websites of the companies you’re considering. Though Google and other search engines have attempted to crack down on fraudulent plumbers and other home improvement and maintenance scams, there’s still lots of work to be done. When you visit these websites, first take a look at the types of services they offer. For a good idea of the wide variety of tasks that your plumber should be able to complete, take a look at the Dr. Drip Plumbing Professionals website. They can assist with blocked drains, general plumbing emergencies, pipe relining, blocked toilets, leaking taps, and more. Keep in mind that your plumbing problem may actually be greater than you initially expected. So, when you’re considering the services you’ll hire, look for companies that can handle any plumbing challenge that comes their way. One of the easiest ways to find local 24-hour plumbing companies? By checking online local directories for service listings. This is an especially efficient way to search, because you’ll be given a list of several potential companies to choose from. You’ll have the upper hand when you contact each of these companies, because you’ll be able to compare prices — and perhaps secure a better deal as a result. When you look into these directories, make sure that you ask about employee background checks. After all, these people are going to be in your home, sometimes when you’re not able to be there to supervise what they’re really getting up to. It’s essential that, in your phone “interviews” with these companies, that you ensure that they’ve conducted thorough background checks and have strict screening processes in place. You should also ask about the types of training the employees receive. Have they enrolled in specific courses that entailed both on-the-job and in-the-classroom training? What types of certification do the plumbing companies you’re considering require their employees to have? How many years of experience does the company have in business? Asking the right questions up front can help to avoid serious problems in the future. Especially if you find yourself needing an emergency plumbing company in the middle of the night, online review sites like Yelp and Angie’s List might be your best bet. You’ll be able to, as with online directories, compare lots of companies at once. You’ll also be able to read the reviews left by past consumers, so you can get a feel for which one you’d like to work with. Of course, it’s also important to be aware that many companies these days pay people to write glowing online reviews for them. To ensure that you’re actually getting the full story, you should always request the contact information of at least two past clients. Then, ask these clients questions about whether or not the plumbers showed up on time, if the problem was permanently fixed, and if they were overcharged for the services. Being aware of these common scams ahead of time can help you to avoid being taken advantage of. It will also help to ensure that you’re truly working with the most qualified professionals. Need Additional Home Improvement Advice? As a homeowner or as a renter, you know that dealing with repairs, maintenance emergencies, and even interior decor and design ideas can get overwhelming incredibly quickly. It’s important to have a list of potential service providers on hand at all times, so you can be prepared for any kind of emergency. In addition to emergency plumbing companies, you should also be on the lookout for roof repair companies, tree removal services, HVAC specialists, and even house painters. Of course, there’s also a great satisfaction in knowing how to handle more basic repairs yourself! Need additional home improvement tips? Spend some time on our website and blog for awesome advice on how to make owning a home easier than ever.